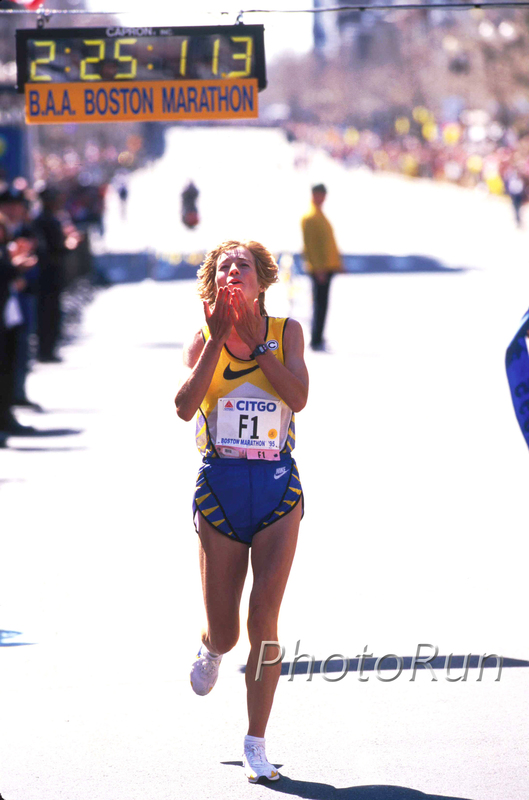 Uta Pippig came to the 99th Boston Marathon in 1995 as defending champion, course record holder (2:21:45) and a clear favorite. So why did her long-time coach and partner Dieter Hogen have a gnawing feeling in his stomach as he watched Uta walk from the church in Hopkinton through the shade of the nearby graveyard? Because he knew she was facing a formidable field—and things go wrong! 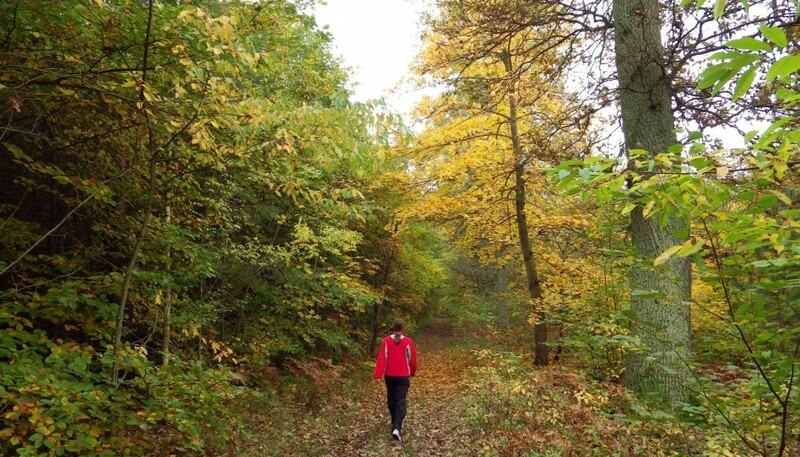 But at 5K he saw her leading with no one in sight. Then, at 10K, Valentina Yegorova, Elana Meyer and Franziska Moser arrived to disturb him. The three hung behind Uta. Yegorova, 31, of Cheboksari, Russia, was the current Olympic champion. 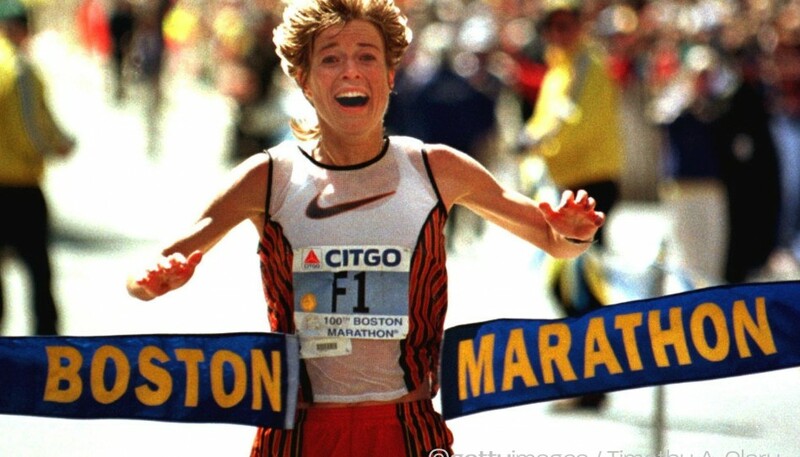 She had placed second last year in Boston with a 2:23:33 personal record. 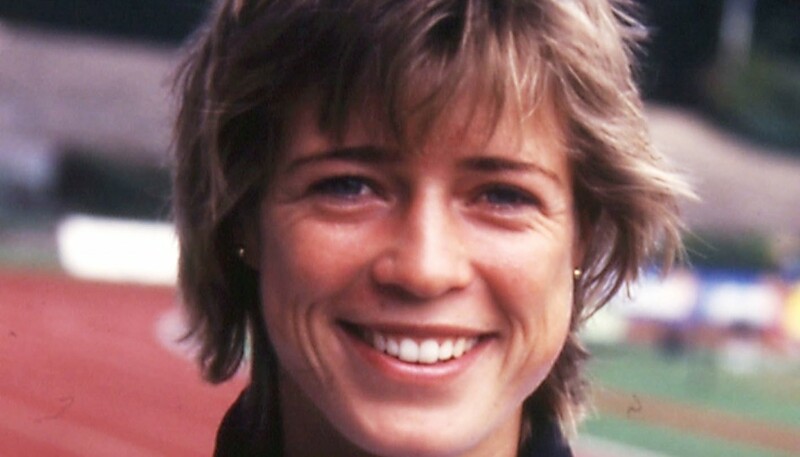 Meyer, 28, from Stellenbosch, South Africa, was the current Olympic silver medallist at 10,000 meters and had finished third in her debut marathon the previous year in Boston with a 2:25:15. 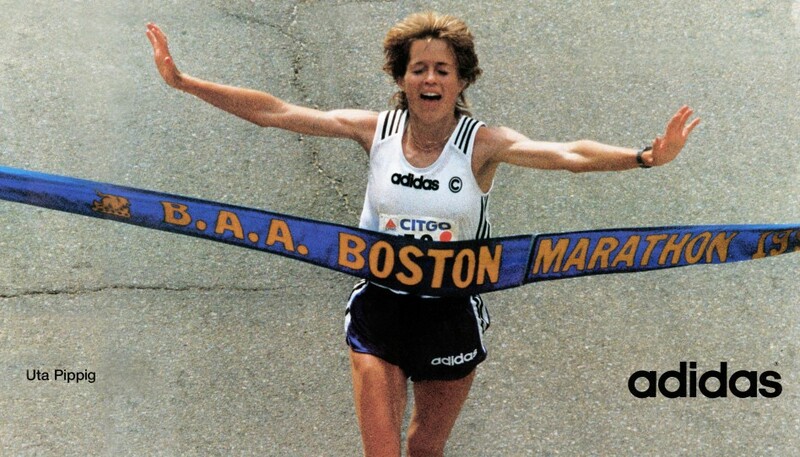 She also had won the World Cup 10,000 meters in 30:52,51 and the Tufts 10K in 31:39. Franziska Moser, 28, of Spiegel, Switzerland, had won the 1994 Frankfurt Marathon in 2:27:44. An impressive field by any marathon standard. Waiting at the 10-mile checkpoint, Dieter Hogen saw that 21-year-old Tegla Loroupe of Kenya had passed Franziska Moser and, running easily, was approaching Uta. Uta had an entourage: Valentina Yegorova, Elana Meyer, and Tegla Loroupe. Later, Uta would say she liked running with the others—but wished they had taken a turn leading. Tegla, although as far from threatening as a person could look, nonetheless looked like a threat to run away with the race. In her first marathon—New York City—she had come from behind to win in 2:27:37 and many observers of marathon racing expected her to lead a great surge of women marathoners to follow the men out of Kenya. She had already run 31:29 for 10K. Dieter didn’t warn Uta of Tegla’s approach. He explained later that he’d told her to run a tactical race because the sun, heat, and headwind made conditions bad for a record attempt. Uta passed the halfway point in 1:11:23, and four women—Uta, Valentina, Elana, and Tegla—ran together toward the 30K mark. Never before had such a large group of women been so tightly bunched so late in the Boston-Marathon. But on these hills, Uta felt at her best. She had been training on mountains in Colorado, so the Newton Hills did not impress her. Later she would jokingly say that Heartbreak Hill felt, “like a little bunny hill for me”. Uta ran her tactical race and essentially followed from the front. She let her intuitive feelings of how the other runners were faring dictate her pace. Valentina Yegorova was the first to fall back. Her quick, choppy strides suddenly slowed to a shuffle. Soon after, she dropped out, in about the same place as she had in 1993. She was taken to Brigham and Women’s Hospital, rehydrated and released. At 19 miles, Uta approached the elite athletes’ water table. Deftly she snatched her bottle of chamomile tea. Elana Meyer casually reached to the table to pluck her bottle from the line-up—but instead knocked hers and several other bottles to the ground. Tegla Loroupe’s bottle fell and Elana stumbled into her as each groped for the right one. And Uta sped away. Inexperience often shows itself in the small things—later, Tegla nearly tripped Elana. Uta glanced back when she felt no one on her shoulder. Soon the two Africans would come back on the German, but at a cost that would be fatal to Tegla’s chances. Almost immediately upon returning to Uta’s shoulder Tegla began to drop back. She eventually faded to ninth place by the finish, and collapsed into a medical wheelchair, where she closed her large eyes, and curled up. Still, Elana followed. Uta would later say she felt confident about her fitness, but she also felt a growing blister on her foot. “This is sport and anything can happen,” she said. The blister became a problem on the downhills after Boston College. Elana Meyer had her own problems. Her quadriceps muscles began to cramp. So cramps followed blisters as both women slowed to performances that were considerably slower than the previous year’s. But Uta’s high mileage and consequent extra strength kept her from slowing very much. Gradually, her lead stretched to over a minute, although her stride was noticeably shorter as she headed toward the finish. The blister did not inhibit her exuberance on the Boylston Street promenade. She glanced back, saw her lead, and blew kisses to the crowd. Meanwhile, Dieter Hogen waited beyond the finish chutes, unable to see her and following her approach to the finish via the public address and the crowd reaction. He hadn’t seen Uta since the 22-mile mark. He didn’t know if Elana Meyer still lurked on Uta’s shoulder, with her trackrunner’s kick at the ready. So the little creature that had gnawed at his stomach from the start chewed on. But when he heard the announcement as she crossed the finish line in 2:25:11, a big smile flashed across his face and he began hopping in excitement. Still, he had to wait to see Uta. First she had to receive the laurel wreath, treat the photographers to her smile and blow some more kisses. She worked her way toward where Dieter waited, pushing a wave of photographers like a big boat pushes the sea. Suddenly she saw him, burst through the wall of admirers, and gave Dieter a powerful hug and the kiss of the returning traveller, safe and home. Elana Meyer, who took third last year after she was passed by Valentina Yegorova, moved up to finish second in 2:26:51, holding off a steadily advancing Madina Biktagirova, of Belarus, who finished third in 2:29:00.